There are various state and federal government regulations that monitor the shipment of perishable items. This is because the wrong type of truck or temperature can cause your goods to spoil and possibly give people food poisoning or other illnesses. A transportation company will follow these regulations for you so you can be confident that your products are in good hands. You should also consider hiring a transportation company with refrigerated trucks since they can take care of setting the right temperature for your products. If you aren’t sure what setting is best, they can evaluate your products and packaging and make a recommendation that will prevent them from spoiling, melting or freezing. You also won’t have to worry about your items being left alone for a long period of time when you hire a professional transportation service. Unlike other couriers which may leave your goods to deliver another product, they will supervise your goods and make sure they are successfully delivered before it melts or spoils. If you’re thinking about buying or leasing a refrigerated truck, you should consider the full cost of building a fleet of vehicles beforehand. 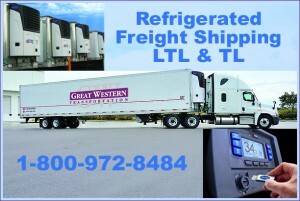 Getting a refrigerated truck is a significant investment, especially with the down payment. Instead of wasting your time and money getting a truck and hiring drivers, you can hire a trucking transportation service to move everything for you. 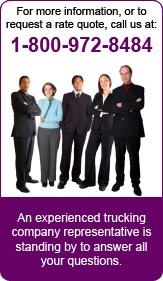 At Great Western Transportation, we pride ourselves on being experts in the transportation industry. We have a large supply of equipment and can ship your goods at a fraction of the cost.